An old baseball coach once told me slumps are like soft beds -- easy to get into, hard to get out of. No one is immune to slumps. Even guys like Babe Ruth, Hank Aaron and Ken Griffey, Jr. went through them. They go through stretches when nothing seems to be working and confidence starts to wane. Yeah, it’s frustrating to go through a slump. Sure, it’s hard to keep moving forward when you’re just not “feeling” it. But the only way to get out of a slump is to keep showing up at the ballpark every day. The best players still take their swings in the batting cages. They keep watching game film and working with coaches to figure out what’s going on. It might take a couple weeks. It could take a few months. But one day, sometimes without even noticing it, the slump will come to an end. 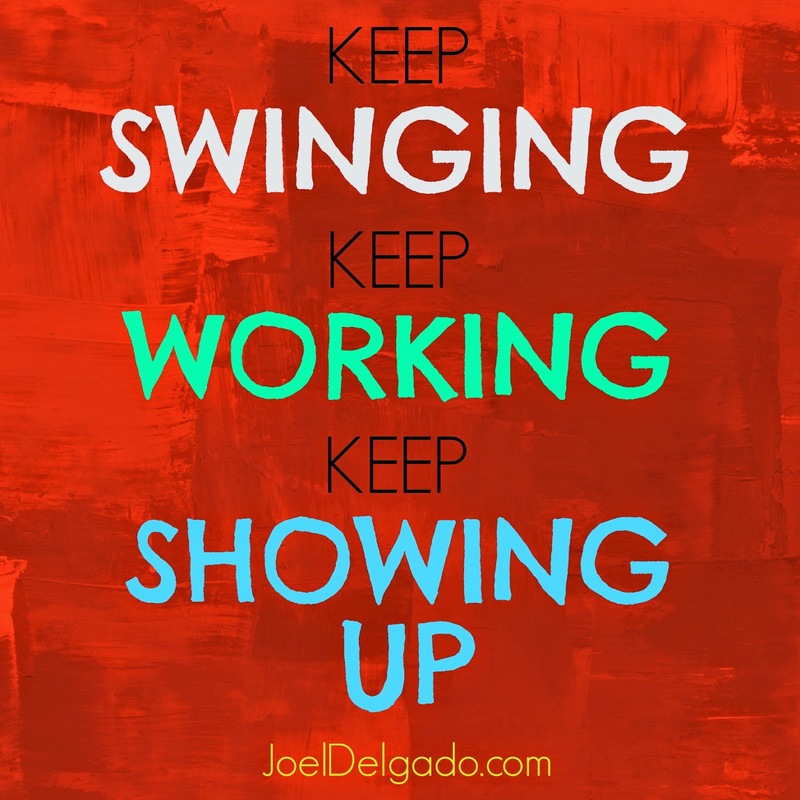 All it takes is a commitment to just keep swinging, keep working and, most importantly, keep showing up. Thank you for this. Such a blessing! Thank you so much for the encouraging words! Keep up the writing! Thank you, Keyla! God bless!